You are here: Home > MCSD News & Alerts > MCSD News & Alerts > Colorado News > Girl Scout Movie & Popcorn Party!! 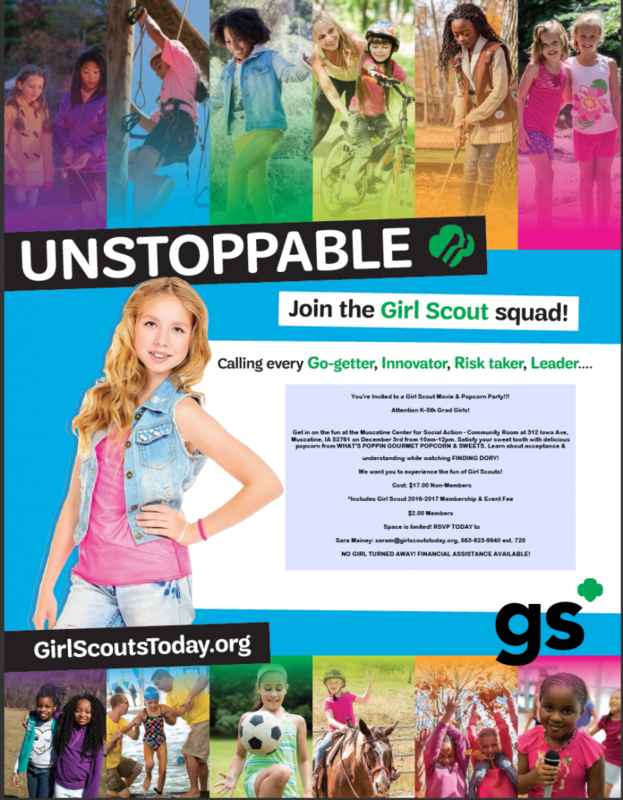 This is an event for girls in Girl Scouts or girls INTERESTED in joining Girl Scouts. It is a party where girls can watch Finding Dory and eat some popcorn from What’s Poppin Gourmet Popcorn & Sweets.